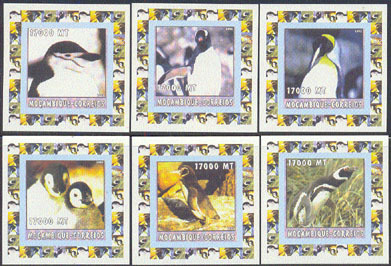 3640 ND MOZAMBIQUE (2002) Penguins*. 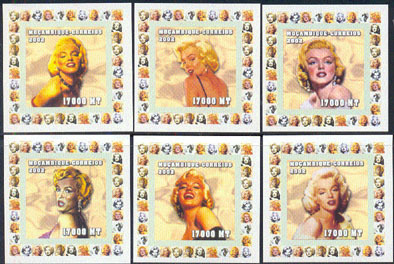 Set of 6 imperforates with decorative borders. 3791 ND MOZAMBIQUE (2002) Marilyn Monroe 15000MT*. Set of 6 imperforates with decorative borders. 3792 ND MOZAMBIQUE (2002) Marilyn Monroe 17000MT*. Set of 6 imperforates with decorative borders. 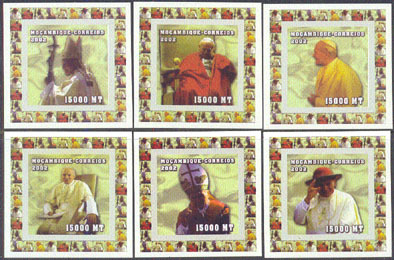 5019 ND MOZAMBIQUE (2002) Pope Benedict XVI*. 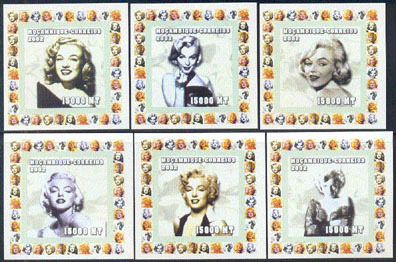 Set of 6 imperforates with decorative borders.